Bryce Cartwright has opened up on his ‘embarrassing’ season in 2018. 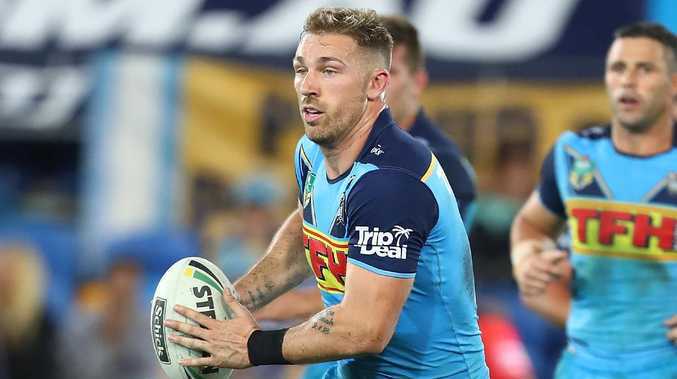 BRYCE Cartwright had the year from hell in 2018. The 24-year-old was brought to the Titans by new coach Garth Brennan and was considered a marquee signing on the verge of State of Origin selection. But the reality couldn't have been further from expectation. In just 14 games for the Gold Coast, Cartwright struggled to find consistency, was widely criticised for his performances and was eventually dropped to reserve grade. Things got so bad, Fox Sports commentator Michael Ennis declared Cartwright was not up to NRL standard. "Bryce is letting his coach down. 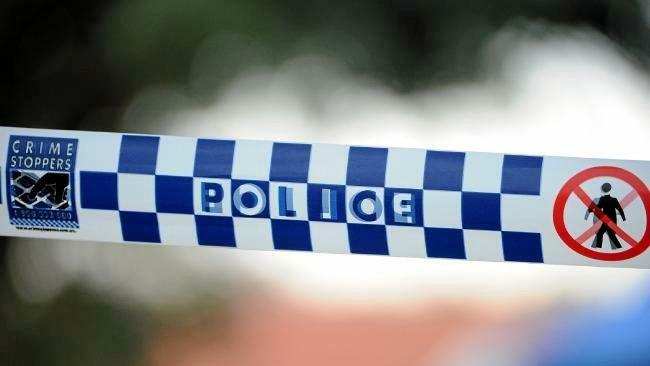 There's no two ways about it," Ennis said in May. "[Brennan has] given him a lifeline and he's taking the piss up there, Bryce. "He needs to show that he wants to be an NRL player, he's nowhere near NRL standard." With 2019 ahead of him and plenty of competition in the Titans' pack, Cartwright is under no illusions he is guaranteed a spot. Bryce Cartwright spent time playing for Tweed Heads in 2018. 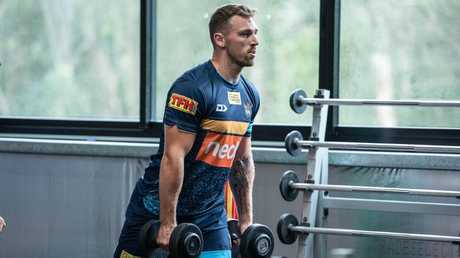 Cartwright admits he was embarrassed by his form in 2018 and support from teammate Nathan Peats is helping him get back on track. "I don't want it to happen every again. It was pretty embarrassing. I know I'm 1000 times better than what I was last year," he said. "I wasn't playing well and I wasn't playing up to the standard I know I can. I wasn't working hard enough. I got here and just thought it was going to happen and didn't put in the work I needed to. That's what I'm trying to do now is put 110 per cent into everything I do. I just want to earn the respect of my teammates and the fans and the Titans again. I know I can do that." Switching positions from lock, five-eighth and finally to the bench, Cartwright couldn't find any stability in 2018 - a mistake Brennan takes responsibility for. In 14 games he had just two try assists and an average of 12 tackles per game, with 2.6 missed tackles per outing. Bryce Cartwright is desperate to recapture his best form. However, Brennan has said multiple times this pre-season he has never seen Cartwright looking as fit or hungry to prove himself. While Cartwright understands this will mean little until he can translate it onto the field, he said it proves he wants success and is willing to work hard for it. That's where Peats comes in - renowned as one of the fittest players at the club. During his roughest patch last season, Peats sent Cartwright a text message telling him to keep his head up, fight hard and put in the work and things would get better. However, he didn't listen. And it wasn't until the end of the season that Cartwright was willing to take on the advice. "At the end of the year I thought about it again and that's probably why I started hanging around him a bit more and stuck to him," Cartwright said. "You watch the things he does, he does all the one-percenters and it works for him. He's a very consistent player."